It would have been easy to sell out. Laurel Street and the rest of downtown could have gone in a totally different direction. For the most part, San Carlos was able to steer clear of a major corporate takeover. Starting in the late 1980s, the planning commission and city council worked very hard to preserve a downtown that was reflective of the early years in San Carlos. Locally-owned and operated businesses remained the goal for downtown. Twenty years later, San Carlos is reaping the benefits, and downtown has become a magnet for independent restaurants and shops. Outside of schools, the feel and attractiveness of downtown, in my opinion, is the number two reason people move to San Carlos. Speaking of schools, the San Carlos School District deserves a tremendous amount of praise for producing top-notch schools on a shoestring budget. San Carlos elementary schools currently rank among the best in the state. Not only have these top producing schools benefited the students that have attended them, they are also the number one reason San Carlos properties have accelerated in value. The City of San Carlos is now recognized as a leader in Green programs and initiatives in climate protection. San Carlos was one of the first cities to recycle office paper, use LED traffic signal lights, re-lamp City Hall to reduce energy usage and champion an award winning photovolatic installation at the City Corporation Yard. San Carlos has also worked to provide a residential battery and cell phone curbside recycling program. In addition, San Carlos has instituted a new Green Building ordinance for all new construction and remodels taking place in the city. It’s what lured buyers to San Carlos in the 1920’s, held the city together during the 1930s, and allowed it to expand in the 1940s. 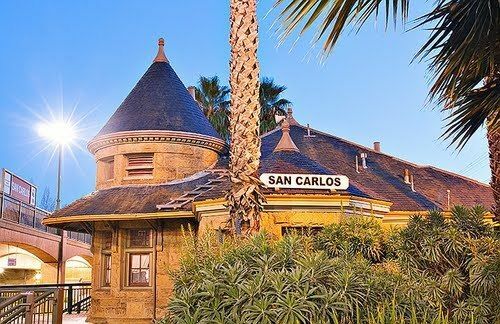 The close-knit community feel that surrounds San Carlos has been fostered over the last 100 years by a variety of city leaders and San Carlos organizations. Most recently the San Carlos City Council, the San Carlos Chamber of Commerce and the San Carlos Parks and Recreation Department have been responsible for community events such as Concert in the Park, Hot Harvest Nights, the Art & Wine Festival and a variety of programs for kids. Additionally, each year San Carlos has almost 4,000 of its youth participate in community sports leagues. The Kiwanis Club, Lion’s Club, Rotary and Chicken’s Ball are all longstanding organizations that have benefited the community for many years. Finally, San Carlos Hometown Days is celebrating its 31st anniversary in May. Bay Area Parent Magazine named San Carlos Hometown Days as “Best Family Festival”. Creating community is what San Carlos does best. In many ways, the San Carlos Educational Foundation (SCEF) represents the very best of San Carlos. SCEF is a volunteer-led, non-profit organization that was set up and is run by parents of San Carlos students. After raising $60,000 in their first year (2004), SCEF hopes to raise close to $2,000,000 in 2011. San Carlos schools depend on these extra funds each year to keep many of its programs up and running. SCEF is the perfect example of volunteers recognizing a need and stepping up to the plate to solve the issue at hand. Great summary. We moved here 7 years ago. Quite frankly, I don’t think we will ever move out of the area. San Carlos is a unique and wonderful place to raise a family and hopefully retire. When we first were introduced to San Carlos, I remember driving down a street in the White Oaks area. In a short span of 3 blocks we saw (and patronaged) two children’s lemonade stands. You just don’t see that in many bordering communities. We have so much to be thankful for in this community. You have provided a great reminder of why this town is a great place to live!